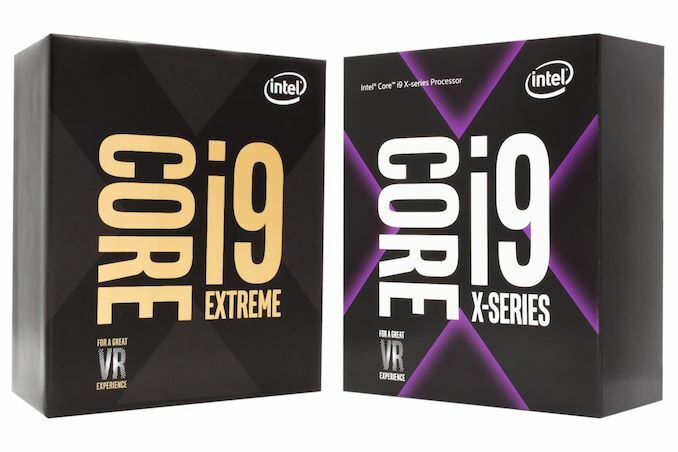 AnandTech has seen documents and supporting information from multiple sources that show that Intel is planning to release a new high-end desktop processor, the Core i9-9990XE. These documents show that the processors will not be sold at retail; rather they will only be sold to system integrators, and then only through a closed online auction. This new processor will be the highest numbered processor in Intel's high-end desktop line. The current top processor is the i9-9980XE, an 18 core part with a base frequency of 3.5 GHz and a turbo frequency of 4.0 GHz. The i9-9990XE, on the other hand, is not simply the 9980XE with an increase in frequency. The Core i9-9990XE will be a 14 core processor, but with a base frequency of 4.0 GHz and a turbo frequency of 5.0 GHz. This makes it a super-binned 9940X. Intel is listing this processor as 'off roadmap', meaning it won't come to retail. Instead of selling to end users directly, Intel will offer it to select OEMs via a series of auctions, held once a quarter, with the first auction scheduled for the third week of 2019. This means the price of the processor is not fixed, and will depend on how much each system integrator is willing to pay. We also learned that only three system integrators will be at the first auction. Overall, this method means that Intel does not have to commit to volume sales: because these chips are super binned, they likely can only build a few hundred a quarter, hence the one auction per quarter. Other details about the chip that we have learned include that it will have a listed TDP of 255W, which means the peak power will be higher. Motherboard vendors will have to support 420 amps on the power delivery for the chip (which at 1.3 volts would be 546 watts), and up to 30 amps per core. It will be for the socket 2066 X299 motherboards already on the market, and perhaps importantly, there is no warranty from Intel. This means that system builders will not be able to recoup costs on dead silicon, but they might give their own warranty to end users. Well this is interesting. We have reached out to Intel for comments. Update 1/18: One of our sources is now stating that the Core i9-9990XE will offer an all-core turbo of 5.0 GHz, and a 'Turbo Max 3.0' frequency of 5.1 GHz. Rich, ignorant morons and research scientists where the 5 GHz frequency may show some productive benefits will bid against each other . This makes it a super binned 9940X not 9960X. "This makes it a super-binned 9960X"